There is nothing better than a day at the ballpark! The Alcorn Central Lady Bear Fastpitch team started their journey on Friday night. The Lady Bears travelled down HWY 72 to Indian country. That is the Cherokee High School Indians. This is the third consecutive year for the Lady Bears to be in the Cherokee Tournament. First pitch was at 5:30 Friday night against the Wildcats of Colbert Heights. According to some local softball enthusiasts, the Wildcats hold various records for homeruns in the state of Alabama. The Lady Bears took quick notice to the teams hitting ability. Players, fans, and coaches watched as the squad hit more than three homeruns in the game to clench a 19-2 win over Alcorn Central. After a hard loss to a good team, the Lady Bears regrouped and came back ready to fight to the end on Saturday morning. The Lady Bears started their morning at 9:00 o'clock with a game against Cherokee. The Lady Bears took an early lead against the Lady Indians to run away with a 6-1 victory to advance them on in the tournament. The second game of the day for the Bears was against the Cougars of Waterloo High School. Waterloo put up an early 1-0 lead in the first inning. The Lady Bears came back with a great 4 run response to grasp the lead. After a strong game of defense and some questionable calls by the officials the Lady Bears cut it close by eventually tying the game up 6-6 right as the time expired. After the Cougars started the first extra inning with a runner on second base and no outs on the board (in accordance with the International Tie Break Rule), they found their rhythm and were able to put up three runs that top inning. That didn't matter much for the Lady Bears because they posed a pretty good comeback working from the bottom of the lineup and back around to the top. Two runs were able to score and two more got on base just as Senior #33 Rebekah Fields came to the plate batting in the cleanup position, or fourth in the lineup for you less than sporty Bear fans. She made solid contact on the ball and drove it all the way to the bank because she hit a three run homerun to win the game 11-9. 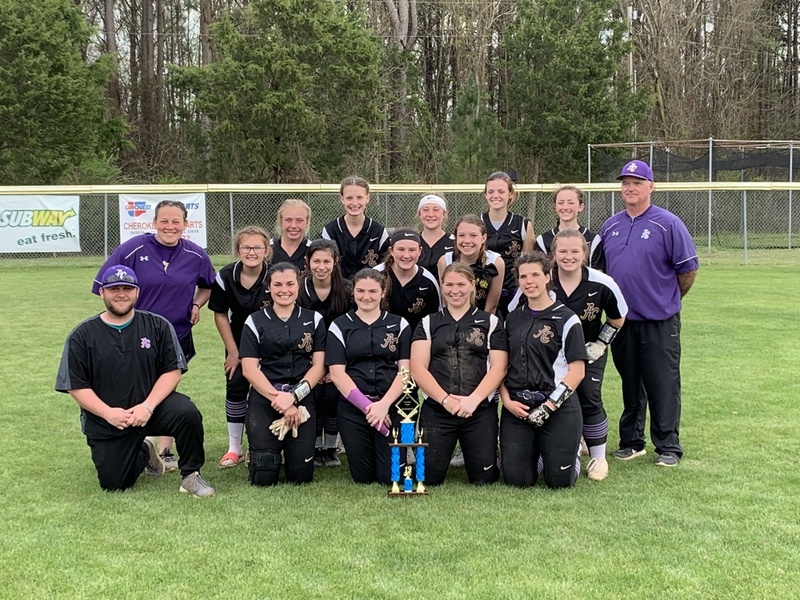 This, along with the combined efforts of hitting and fielding by all Lady Bears, kept Alcorn Central in the tournament to fight yet another game. Covenant Christian School was the next target of the Lady Bears. They went into that game with the desire to take care of business. The Lady Bears had a hard fight and made their share of errors and mistakes, but that didn't keep them from putting the bat on the ball late in the fourth inning. After being down 2-1, the Lady Bears eventually got a better stance on the scoreboard after some base hits. The Lady Bears came up 3-2 when they finally took the lead. Moving forward they scored another two runs to give them a sweet final of 5-2. Three wins in one day took them back to the only undefeated team left in the tournament, the Colbert Heights Wildcats. The Bears got started quick with the bats, but it wasn't enough to measure up to the bats of the Wildcats. After several homeruns and a few hits that put dents in the top of the fence, the Wildcats picked up a 14-5 win over Alcorn Central. Although the Lady Bears suffered a hard loss to the same team that beat them earlier, they still came out as the second best team in the tournament. Today marked the first trophy received by the Lady Bears in the tenure of Coach Haylei Bell's career at Alcorn Central. It is presumably the first one since the late 2000's or early 2010's. Regardless, we are super proud of our Lady Bears as the finish they tournament as Runner-ups! The Lady Bears are 6-7 overall for the season so far.